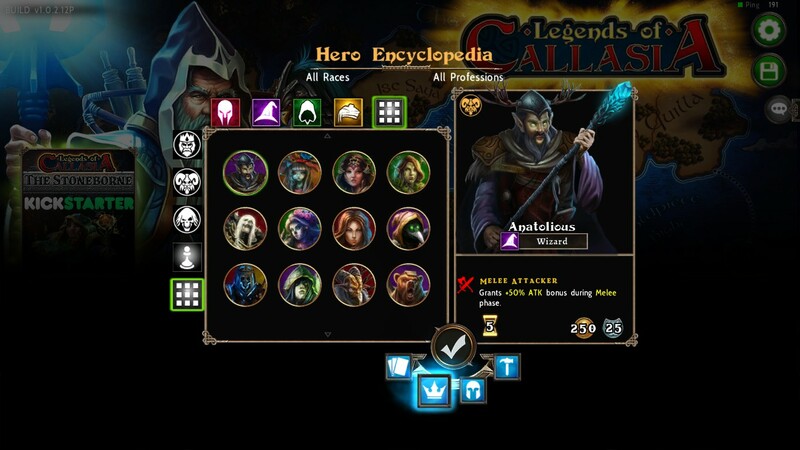 We just updated Legends of Callasia to v1.0.2.12. This update contains a bunch of changes to card usability as we’re now allowing Reinforce and “Battle” (those that affect battles) cards to be played on Allies. 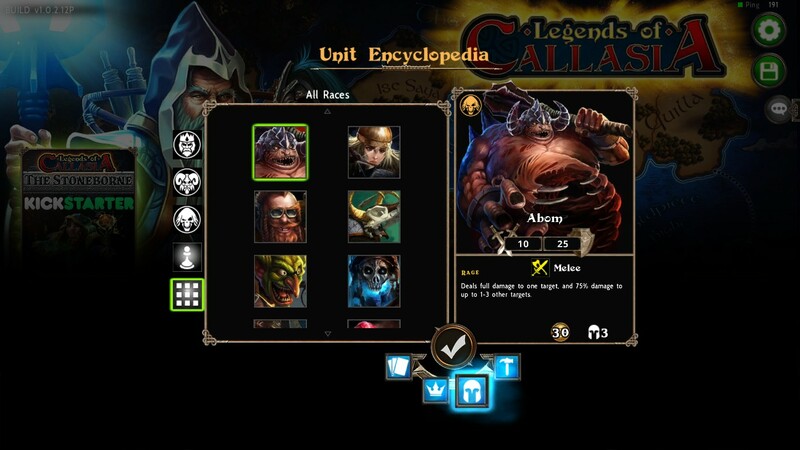 We’ve also added an In-Game Encyclopedia where you can view Hero, Units, Cards, and Structure information without having to go in a game. Added In-Game Encyclopedia. 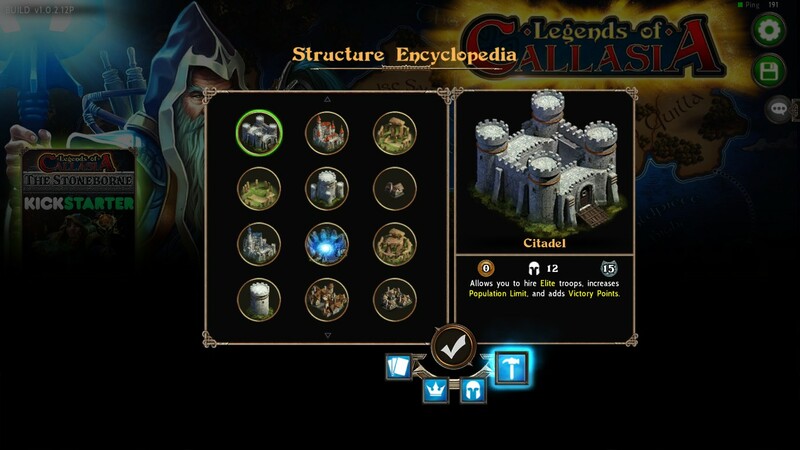 The Encyclopedia contains Hero, Units, Cards, and Structure data and can be accessed from the Main Menu. All Reinforce cards (including Creeping Death) can now be played on Ally’s Heroes. If you and your ally are using different races, the card automatically converts the units to the recipient’s race (i.e. A Faeborne player uses a Reinforce Phoenixes on a Revenant ally, the Revenant ally gets Wyverns instead of Phoenixes). Cards that directly affect battles can now also be played on Allies. Below is the list of affected cards. Possible fix for Player orders being dropped. If you still encounter this issue after this patch, please send us an In-Game Feedback or email us atlegends@boomzap.com. Fixed the visual bug for Starting Gold that occurred when changing Player Color. Adjusted Hero, Card, and Structure description for better messaging. Miscellaneous bug fixes and network optimizations.